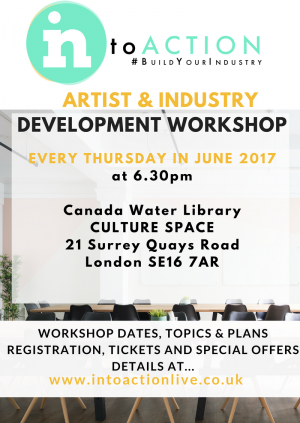 Topics are aim to help Artist & Industry personnel better navigate the music industry environment, to help avoid career and business pitfalls and provide tools to enhance visuality and appeal in the music market. We look forward to building every Artist as their own industry able to sustain and every business music to thrive. INtoACTION is designed to support creatives and those working directly with creatives by offering workshops and webinars that provide interactive teaching forums, one-on-one mentoring and specialist sessions towards career, industry and music business development.